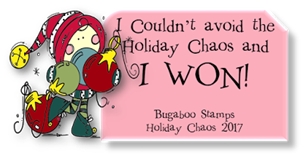 Fun card, sweet sentiment. Thanks for entering your wonderful creation at The Crafter's Cafe this fortnight for our "Male" challenge. 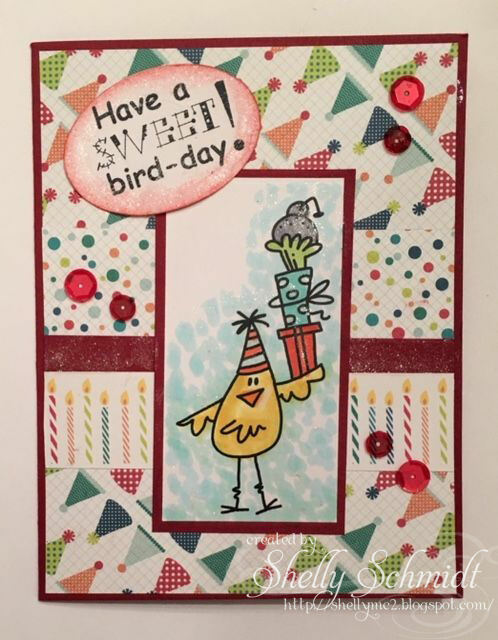 Shelly, this is such a cute birthday card - Bird-day! love it! Nice card ... 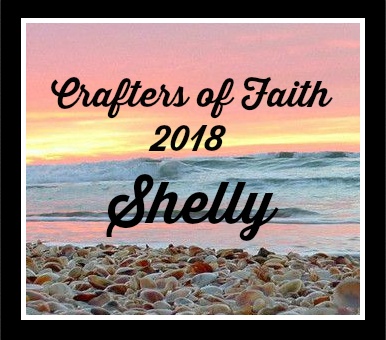 Thanks for playing at the Crafter's Cafe Challenge I wish you the best of luck. Shelly this is adorable. That bird is just too cute. Oh my, what a cute card. I see myself getting older, not on my birthday, but on my children's. How did we get to be this age so quickly? 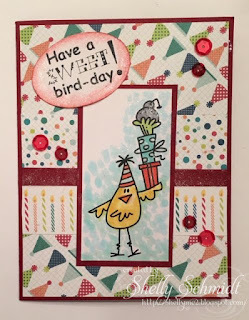 Oh what a fun card Shelly, I love that cute bird image and the colorful papers!! Such a happy card! What sensational papers with this fun birthday chick!! Too, too cute, Shelly! Super sweet birthday card Shelly! It amazes me how fast kids grow. Watching the twins grow us so fast just boggles my mind. 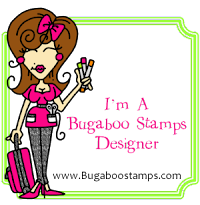 Love your card and Bugaboo is so fortunate to have you as a GDT! Fabulous card Shelly - such a fun image and background. Yes - my grandies are starting to measure themselves against me - I am sure it was just last week they were babes in arms!